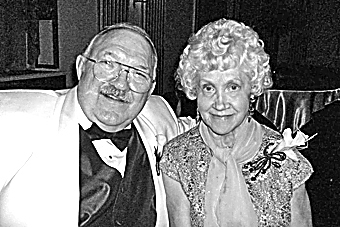 John Robert Platt of Weirton, WV, age 77, passed away unexpectedly on Monday, April 15 at his Weirton residence. He was born August 14, 1941 in Steubenville, OH. He was preceded in death by his wife of 53 years, Linda Platt, just in January of this year, whom he married on July 24, 1965. His mother, Mary Gogul; sister, Mary Jane Tuchalski; sister, Theresa (Tipi) Philipps; and brother-in-law, Stanley Tuchalski. He is survived by son, Gregory (Linda) Platt of Harrisburg, PA; son, David (Jackie) Platt of Venetia (Pittsburgh), PA; son, Steven (Laura) Platt of Crafton (Pittsburgh), PA. He is also survived by six grandchildren, John Robert Platt II, Claudia Platt, Teddy Platt, Julia Platt of Venetia, PA, and Alex Platt and Evan Platt of Harrisburg, PA. John is also survived by a brother, George Platt of Weirton and a brother-in-law, Chick (Mary) Philipps of Parma Heights, OH. He also has a large number of nephews and nieces. John retired a shipping foreman at Weirton Steel Company after 34 years of service. He also proudly served in the U.S. Army and was a Vietnam veteran. He graduated from Weir High School in 1959 and from Robert Morris College, Pittsburgh, PA in 1972. He was a member of the Robert Morris University Alumni Association, the Weirton Steel 25 Year Club, the Weirton Steel Management Club, the Weirton Senior Citizen Center, American Legion Post 10, the Sacred Heart of Mary Catholic Church Holy Name Society, a Life Member of the Weirton Knights of Columbus 3rd Degree, Council 3734, and a Life Member of the Weirton Knights of Columbus 4th Degree, Assembly 1194. Visitation will be at Greco-Hertnick Funeral Home, 3219 Main St., Weirton, WV on Tuesday April 16 from 4-7 p.m. The Knights of Columbus will recite rosary at 6 p.m. A funeral liturgy with mass will be at Sacred Heart of Mary Roman Catholic Church at 3:30 p.m. on Wednesday April 17. The Reverend Father Anthony G. Thurston will preside. Interment will be in the National Cemetery of the Alleghenies. In lieu of floral arrangements, memorial contributions may be made to the Sacred Heart of Mary Roman Catholic Church Building and Maintenance Fund. Share tributes and memories at www.grecohertnick.com 304-748-3219.